Keep your stationery essentials organized in a unique pencil case. 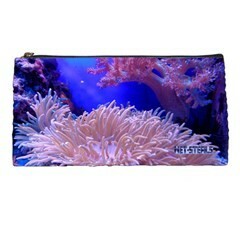 This pencil case is sturdy, lightweight and is made from durable polyester to withstand everyday use. Winning buyer to pay $6.00 shipping to anywhere within U.S. Canada or outside of U.S, the shipping will be $17.95. Forms of payment accepted is either by Paypal in U.S. Dollar only.